When my daughter saw the chicken sitting in the marinade, she had a funny expression in her face, the kind that is thinking..”..eeewwww, green chicken?“, but not daring to say much as she knew this was going to be dinner. It is not any herbed dotted chicken. The chicken here is more like slathered and coated with a fresh aromatic green paste. The green paste is similar to the coriander mint chutney or the green chutney that is so popular in Indian cuisine. So you see, the essence of this recipe is entirely lost in translation. The “herbed” part explains nothing about the bright green color or the fresh aroma of the succulent chicken bites. I think I should not even try. This should be better: Murgh=Chicken, Tikka: Morsels/Little Bites, Hariyali: Green/Greenery (not the landscape here, but the fresh green herbs used). It is not much like me to do this in publicly, but I do need this out of my system. If you do not want to read this, move on to the recipe. Using recipes without due acknowledgment has become as common as the sprouting food blogs. I know it happens all the time, and it is turns your world around, at least for sometime, when you chance upon it. This is a part that blogging comes with – fighting over imitating recipes and copying photographs. Blame it on the web that it makes copying much easier, but the web also helps the affected party spy the plagiarism. I am not naming anyone at this time or even linking to anyone to save the embarrassment of this particular person. If I did, a glance at the recipes would reveal the resemblance without a doubt. Many of the bloggers visit both her and me, so some of you would know who I am talking about if you have really read through our posts. 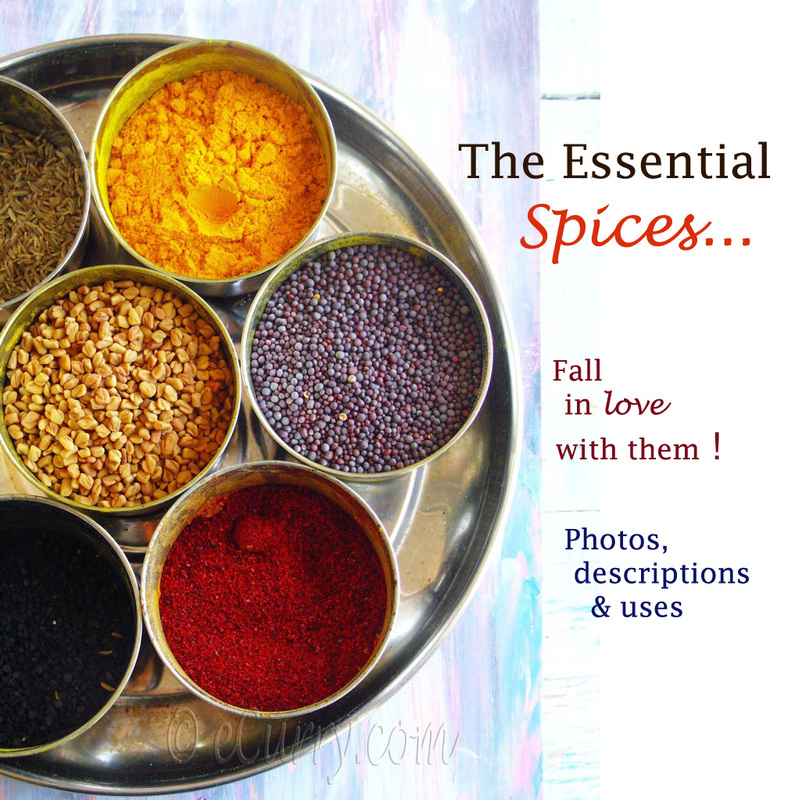 I know my own recipes – be it a standard and popular one or any other exotic kind. I would know them anywhere. It was not just one recipe, I found four in less than 15 minutes that I spent in that blog. I left comments in couple of them with links to my recipes, and the comments do not show up anymore or have not been published. I expected that. But I did get a mail stating that a lot of the Indian recipes use the same ingredient and the same “methodology”, so it cannot be said that the recipes are copied. I agree to that about the use of same ingredient and technique, for if you are baking a cake you will need the flour and the sugar and the leavening too. There is obviously no milkshake without the milk and the shake. For example look at my Achaari Murg; I was pointed by this particular blogger to the renowned Sanjeev Kapoor’s recipe, – a similar recipe using the same spices. (what she must have missed is the link I have at the end of this post to this exact same recipe). I know Madhur Jaffrey uses the same pickling spices and so does every household in Northern India. What Sanjeev Kapoor’s recipe did not use was the divided and huge proportions of oil (this issue also has been commented on by a reader who tried this recipe with much less amount of oil – see comments by Dave) as listed in my post or even the yogurt or some other minor details that appear in my recipe. Hold on! The copied recipe had all that I did, in a very similar way as mine, with only the proportions altered a bit. No it was not just the similarity of the standard spices and procedure. Even the photograph, as pointed out by a friend, had the the red dry chili pepper as mine did. This part however would have gone unnoticed if the recipe did not resemble mine. Coincidence too? or is that how a standard Indian dish is served everywhere? Quoting Anita, “A list of ingredients may not be protected by copyright but the recipe is.” Close to 50,000 results come up in the Google with the search of “achaari murgh”. Why I have not picked any other writer of all the recipes I have come across is obvious. 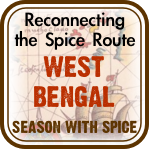 Given the spices are indeed standard, there are quite a few very similar recipes. I believe in the fact that 2 people might have the same recipe listed in their own blogs, but the odds that the procedure and the ingredients appear in the same order and the sequence are pretty slim. Same is case with the other few recipes, one of them being the Murgh Malai Tikka Kabab I had posted when I started blogging about 2 years back, which incidentally has been included in a book that got published recently and it also appears at the top of the Google search. There are not many recipes out there using mozzarella cheese in a marinade. Stating some ingredients as “optional” or changing 8 cardamoms to 6 cardamoms, does not give you the rights to make that recipe yours, or even your Mother in Law’s . Under no circumstances, can the recipes I write, be claimed by anyone else as their own. I am not going into the details of the other recipes. The point has been made. I had wanted to give her the benefit of doubt. Life is busy. Each one of us are rushing to complete the posts. May be no attention had been paid to give the acknowledgment or mention the source of the inspiration? I expected an apology. What I did not expect was a blatant denial . I would not have ranted for the entire world to read if the ” mistake” was accepted with a small apology instead of defending the act and accusing me of “degrading” her “precious” “efforts” of blogging . With this attitude I do not consider the efforts “precious” anymore. She also stated that she “respects” my work, but probably not enough. Food blogging is time consuming and hard work – being a blogger myself I understand every bit of it. What happened could be more of an act of carelessness than of malice. However it does portray disrespect to the norms of blogging. Or may be she is not familiar with the formalities? Along with the supposed unawareness, is a refusal to own up. I do not want to accuse anyone saying that it was done intentionally. But I cannot stress enough that it is always ethically right to cite the source of inspiration. Recreating someone’s recipe is not a crime but without mentioning it, is definitely one. Is expecting an apology, that too privately asking for too much? I would not have made this public if her post was updated with the acknowledgment and if I was not accused of “degrading” her work when I mentioned in her posts that the recipes look very much like mine. If it was me who truly forgot to acknowledge, I would have apologized and updated the post right away, not played with my defense. I would not have deleted a comment either. For if I was not guilty, I would not care to share the comments along with the my very own recipes. Blogging is not a contest! We learn from our family, friends and obviously from other blogs. I have learned so much in the past 2 years. If I am using another recipe and adapting it or getting inspired by it I would feel that pride in mentioning that. That is what finds you a friend, the lovely connection that builds up in the blog world. If I find a similar recipe as mine, I try to link to the other writer’s post. There is no prize about sharing a recipe with the entire world that we are doing, it is the purpose of food blogging. There is no prize for being the great cook you are, other than your own satisfaction. There is no prize for the number of comments you get, or how beautifully worded they are. While I am grateful to my readers and friends for taking their time to visit me, my heart wins over when a genuine appreciation comes, or may be a link or a note to say that it has been tried out – some are liked, some are not – it does not matter. What matters is that a reader in another part of the world took that time to let me know! Some silent readers do not even leave a comment; they write to me personally to let me know what they tried or if they had any troubles re creating my recipe and every single time they repeated the dish. I am so thankful to them. All it takes is a few words of mention of the source of inspiration and one earns the respect! I do not understand what kind of ego does not allow one to do that. Own up! ‘Fess up! to earn the respect of your fellow bloggers. If blogging and cooking are your passion, you cannot start off something so close to your heart by copying recipes, giving no credit and still hope to continue. You will lose the trust of the other bloggers; for there is no guarantee that the other recipes in your blog are not copied. You will be exposed. Phewwww….End of rant!.. ease relax and move on to the recipe. The ubiquitous Tandoori Chicken, Murgh Malai Tikka Kebab, or Reshmi Kebab have cast a shadow on all the other tikka (=morsels) chicken recipes. While the above mentioned are immediately spied in a restaurant menu, the Hariyali Chicken is not quite at par with the others in its international fame. I wonder why? May be it is not good looking and orange and hence less noticeable. That fact definitely does not make it any less delicious. It is uncomplicated, a breeze to make, and very very delectable. If you want to do a vegetarian version of this recipe, use paneer/Indian cheese. Clean, wash and pat dry the chicken pieces. Grind/Blend all the ingredients of the marinade into a paste. Do not add any extra water. The lemon juice and the yogurt should be enough liquid to make the paste. Combine the chicken and the marinade and let it sit for at least 3 hours, overnight is better. If you are using bamboo skewers soak them in water for half an hour to prevent them from burning in the heat of the grill. 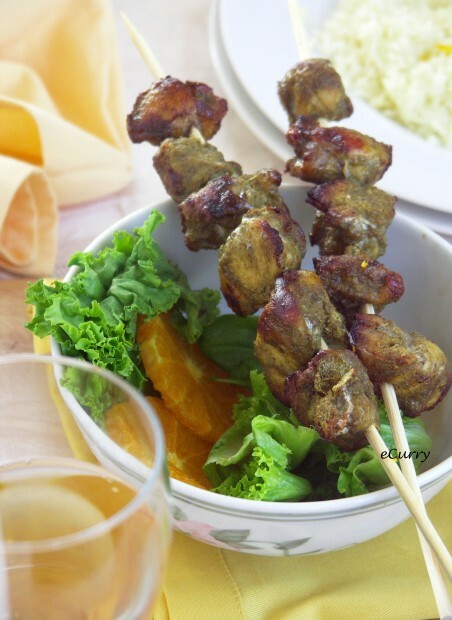 Use some of the marinade and rub it on the skewers. (I like to do this as the spice mix goes on to the inside of the chicken bites). 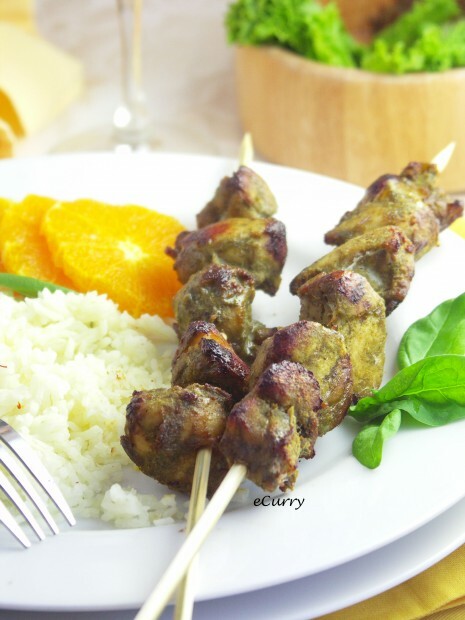 Carefully pierce the skewers through the morsels, about 5-6 in each skewer and brush lightly with oil. Cook on the grill/ tandoor for about 7-10 minutes or until till done to preferred taste. Heat oven to about 400 degree F.
Place the skewers tray and bake in the pre-heated oven for 15-20 minutes or until the juice runs out dry and the chicken is done, turning them around mid way. To get the charred feel, you can broil the morsels for about 3-5 minutes or till the edges are lightly charred. Coat a thick bottomed flat skillet or a stove top griddle/grill (I would something like cast iron as it retains the high heat consistently) with oil and cook the chicken while turning them around and basting them with more marinade if you wish till done. It should be cooked by the end of 12-15 minutes. Increase the heat towards the end and the let the edges char for a more authentic tandoor cooked look and feel. Note: Whatever way you cook the chicken, make sure not to overcook as it will tend to dry off the chicken bites pretty quick. They need to be tender, cooked and succulent. Serve with chutney/condiment or yogurt as a dip if you are serving as a starter. Serve with flatbread or over rice and a side salad and yogurt if serving as a main dish. I served mine with saffron and cardamom flavored rice and spinach and orange salad. The dinner went well too. The daughter did not have a single streak of “eeeewww” in her. She was happy. The little one found it too spicy for her tastes. the chicken looks soo good Soma!! what can i say soma ? am still awestruck by the snaps. beautiful! the chicken pieces look perfectly grilled on every side. as for the ranting … good u did it. i have found so many of my snaps being used all over the web … one blogger has a whole blog of copied snaps and recipes .. just like u said .. .with minimum changes in the amount of the ingredients … am so sure they never actually try cooking them. Lovely recipe and gorgeous recipes as usual! 🙂 I do not think it is about good or bad at all! Don’t we all learn from one another? It is just the honesty and the modesty lacking that makes it so unpleasant. It is not that she posted without cooking and taking pictures herself, she did. And if she did do that, why it would be so much trouble to mention, I wonder. What makes me sad is it happened with a known fellow blogger and from someone whom I did not expect this attitude at all. Jaya of DesiSoocerMom. To be honest it said precisely the same things. She bought to my notice the post and I went write back and checked. 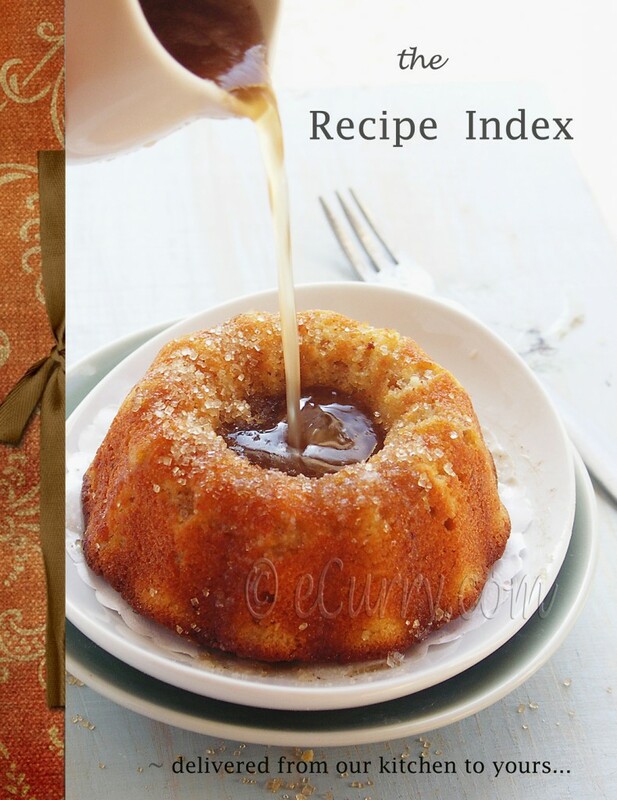 I often stumble upon similar recipes with same ingredients and procedures. Indian cooking is like that. 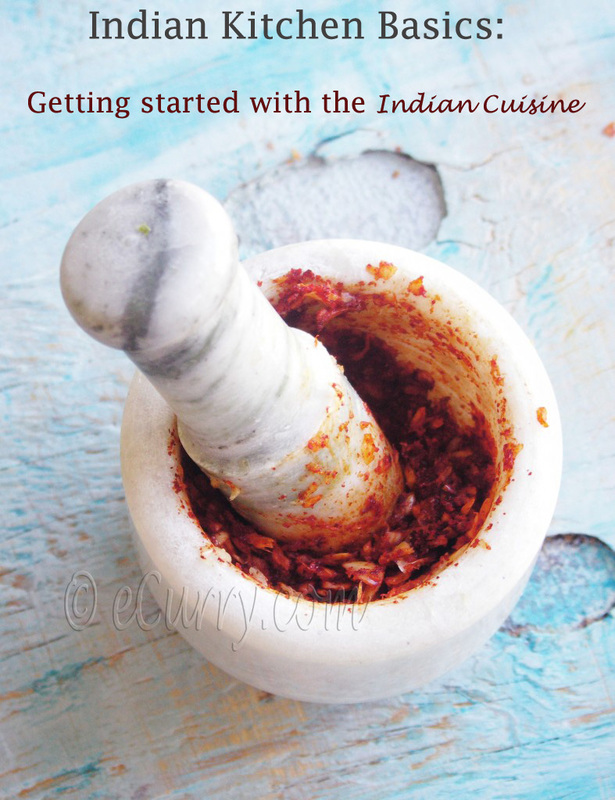 Most of the recipe are common and shared in households in North India. Many a times I stumble upon recipes that are exactly like how my mom makes it. But one can easy make out the difference when it is copied. And this one looked like it was. I don’t doubt it. And really why are people so egoistic to mention someone as inspiration? Thats the difference between a website and blogging right? Isn’t blogging all about sharing and connecting with fellow food bloggers. At first I thought may be she didn’t realize that its a norm of blogging. May be its an innocent mistake. But since you say she didn’t apologize I feel sorry. Now I guess I’m ranting 😉 but I’m glad u wrote about it. Sometimes its better to say it. Your kebab’s cheered me up! They look awesome. 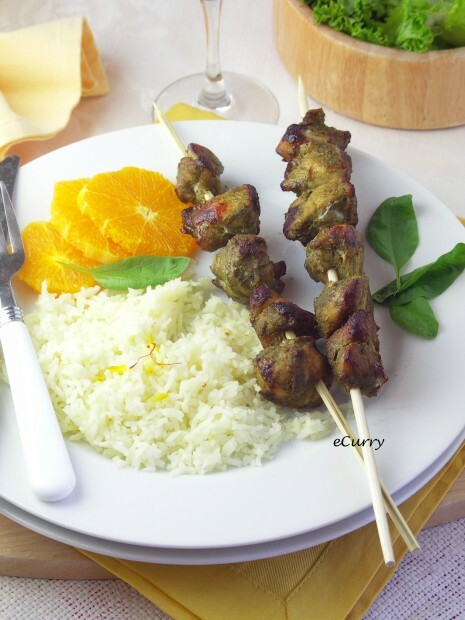 Chicken in any form on skewers is one thing I can never say no to! Soma, I can understand where you are coming from, I have done my fair share of ranting in the past.You say that someone copied your recipes? I have had all that, but what would you say if someone ( and I know her personally too) even copied word for word from my profile page. It was when I was in blogger, and I failed to understand how someone could think about themselves so similarly, word for word! Isn’t it sad that she had to copy someone to talk about herself? As for the recipes and pictures, I have given up; not a good thing I suppose, but it took away my pleasure from blogging, when I came to think about it too much. The internet is such an open thing, where one on the one hand, one gains precious friends, one the other hand there are always those who lurk, and not always with good intentions. And giving credit is not something that comes easily to people.I actually got a shock once when I found, that, a blogger whom I really liked, copied notes, word for word, from another source, and didn’t bother to mention it, as if those words flowed from her. By doing so, such bloggers don’t realise that if they managed to find something on the internet, there is every chance that someone else would too, and one only needs to put the pieces together. So give credit people! Sorry for taking up so much of your space, Soma, it just brought out some nasty memories! I understand how you feel! Some people in the blogging world are not fair play and heartless. They think it’s a contest… So sad. Food blogging is a wonderful activity and there are many honest and kind people. A pity that some people prefer to not be part of that. I came to let you now that you are much appreciated for your so beautiful work here.I am still struggling with my contents being stolen so openly so I can really understand how you have felt.Anyways looking at the pictures makes me so hungry always here and this is no exception. I’m sorry- this sneaky behavior is awful on part of the person who is trying to pass off your recipes as her own. I am not in favor of public humiliation or anything, but it would be great to know who it is, so we can check the blog and see what other content may possibly be stolen. Hey Soma.. that is awful to hear. And I see your point, if she has used your recipe and taken her own photos it would have been easy enough to mention your reference. I am getting mad without even knowing who this is now. Your blog is so beautiful, the recipes, your comments, and the pictures. It’s obviously done for the joy of creativity and with a lot of love — for your family, for your friends, and from your family. I’m sorry you have had this experience, having someone take your work and put it forward as her own. 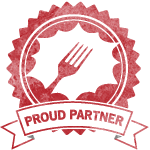 I have never had the ambition to try any of your recipes but I love to see your beautiful work. Soma, I hear you loud and clear. There are a lot of ‘popular bloggers’ who seem to find it hard to give credit where it is due especially when the inspiration comes from somewhere else. Sad. I actually like the color 🙂 It is one fantastic chicken. Did the kiddies like it? I bet they did. Thanks for the link! Agree with you completely re recipe plagiarism – it’s just not right! Soma, so sorry to hear that this happened to you too! Hope the ranting made you feel a little better. wonderful photographs and a recipe. Recently we started a new site against Plagiarism….With a hope may be Facing Off these copycat creepers may make lil bit effort to stop this crime to some extent….I believe fighting altogether rather than alone solves many solution…what do you say??? Any way the tikka looks grt….I tastes quite similer kind of Tikka (Green) in one of my hubby’s Office parties…that tastes like heaven…. Read- I tasted…..:) & That tasted….:)…. Definitely a validated concern – copying recipes without credit is just not cool at all. 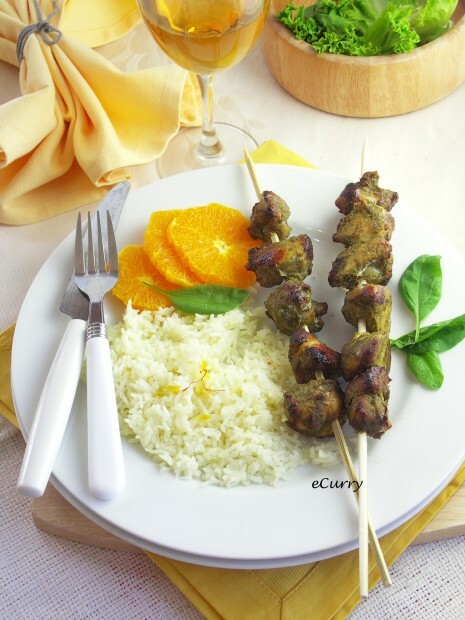 Loving this chicken skewer, the flavors must be fantastic! I am honored and humbled to be referenced in your rant. I have also had someone copy my work without attribuion and post it as their own. It’s a strange experience. At first I felt proud that someone thought my efforts were worth publicizing, but then there is also the sense of violation, that something I put a piece of myself into has been taken without asking. Those of us who are regular and appreciative readers of eCurry know your work and recognize the effort you put into it. I hope that this plagiarism won’t discourage you, and that you will continue to welcome us into your warm and aromatic kitchen. And I think that I might be making some green chicken bits in the very near future. Dave, thank you again for your support. I am really fortunate and honored to have readers like you. And you got mentioned because you gave another dimension to the recipe.. LOL..No I am not going to be discouraged. Disheartened I was, but I should not allow these petty things to tread on my life. Thank you again! …..btw – wonderful recipe as always. Your rant is SO warranted. It’s unfortunate that it happens all the time. Sometimes, it’s new bloggers that don’t understand etiquette (I know, I will admit I didn’t properly credit when I first started, and a wonderful, kind blogger let me know, of which I was grateful. ), but other times, people get into these needless arguments and get rude and disrespectful. Those are the bloggers that I cannot understand – why? Like you said, it’s not a contest. I’ve since had my work copied without proper credit. I can understanding how frustrating it truly is. I may have just stumbled upon your blog, but from what I can see, you have put a LOT of work into this – it’s much appreciated and it’s valuable! As for your chicken, this sounds like a lovely, light meal. Perfect for this transitional weather we’re having, where it’s still warm enough to grill, but that bit of heat in the marinade warms our bellies as well. Delish. Well done Soma; no point in keeping it pent up. I too was shocked by the behaviour of the ‘respectable’ blogger and spoke up when earlier I have remained quiet. You expect better from people who want to be taken seriously. Your reaction when you came across a recipe that looked a lot like yours was to leave a comment saying as much – an expected response. While Srivalli left this comment: “Beautiful anita…I came to look at it again…” Well, she failed to see the similarity even after coming again?! Her blog is full of statements like “the original recipe used mustard oil, but I didn’t” with no mention of whose recipe she originally referred to!! Sometimes she falls back on the poor MIL and occasionally, on the Prestige Pressure Cooker cook book! Which then she cannot trace. You can be sympathetic when it is a new blogger who may not know better. Invariably, I find they apologize. But a person who protects her pages using Copyscape obviously knows better! Sorry to add my own rant to yours…but it’s got to be said. We must support each other. As Nupur said, don’t be afraid to mention this person so that others can speak up and defend their rights as well. I completely understand your frustration about the recipe thing. I can only imagine how you feel, and I agree you should disclose the names! I cannot thank you enough for taking the trouble to post all these recipes. I am a pretty useless cook but your recipes and ease of cooking method is inspiring me to keep trying 🙂 Thank you once again, you are my hero! First of all, this dish looks very much like what a Indian sikh here call “green garlic chicken”. He even claim that he invented this dish (dunno what to believe to be honest). Hey. I love Hariyali Green chicken. You think it would be ok to cook it over a gas grill? I am BBQing this weekend and want this chicken cooked over an open gas flame on the grill. Just wanted your thoughts. Yes it can be cooked over gas flame. That is the best way to do it!